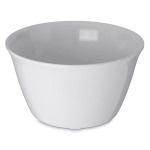 The Carlisle 4354002 Dallas Ware® bouillon cup has a 7.5-ounce capacity for serving soup, gelatin, custard, and more. It is made of heavy-duty melamine to support indoor and outdoor use, while the insulated dish will not draw hot or cold temperatures away from product. With a reinforced rim and foot design, it can be stacked securely. 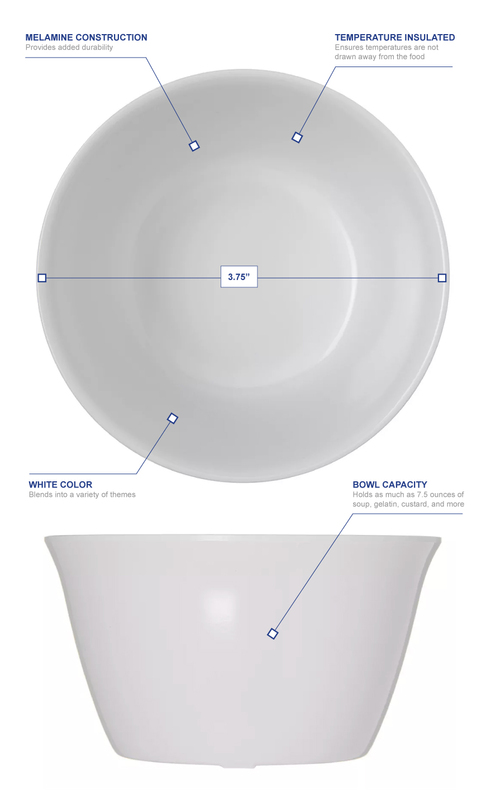 The Carlisle 4354002 Dallas Ware bouillon bowl comes in white, fitting into a variety of décors so food can stand out.